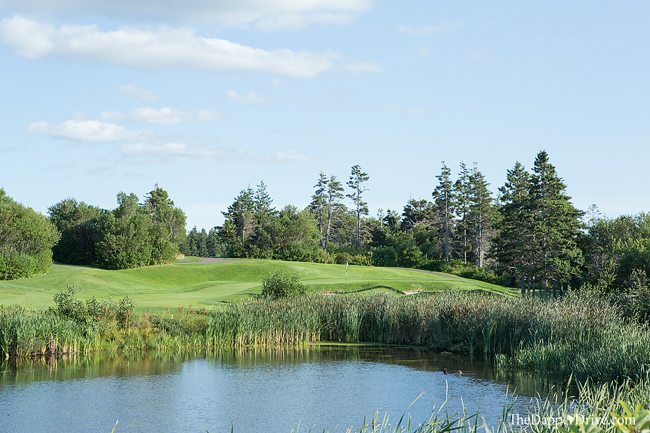 In the eastern part of Canada, tucked off the coast of Nova Scotia sits the small, yet bustling Prince Edward Island. 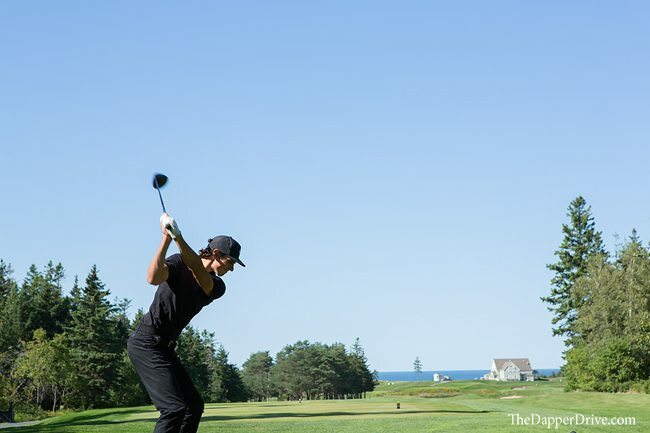 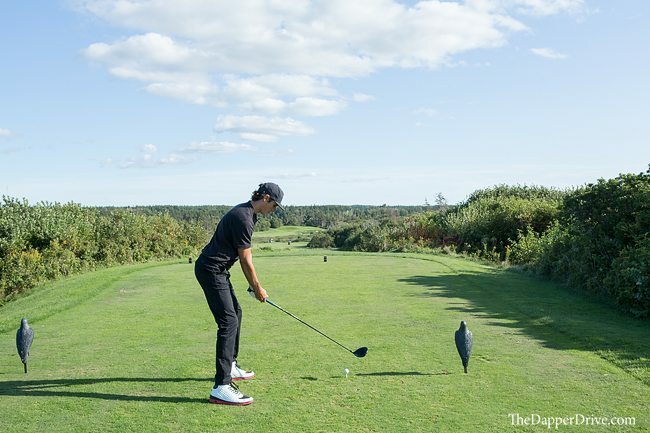 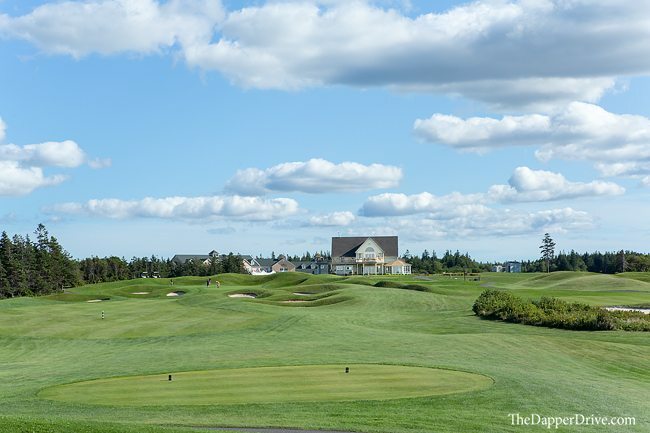 Though little known to many Americans, PEI (as it’s called) is the Canadian equivalent to Myrtle Beach, boasting more golf courses per square mile than anywhere else in the country. 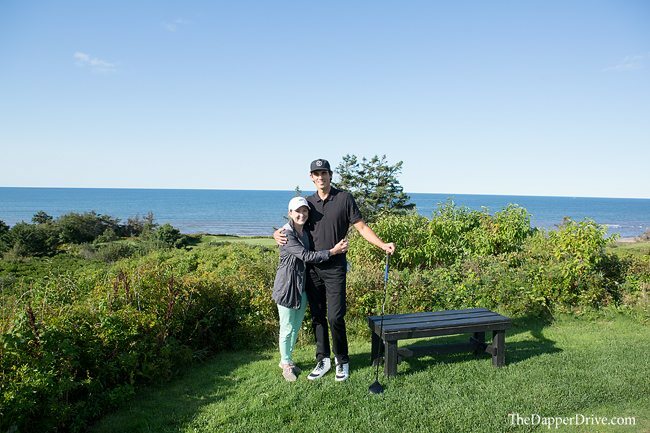 This past fall, after an epic experience at Nova Scotia’s Cabot resort (read more on that here), we decided to prolong our return to the Southeast US to pay a visit to PEI. 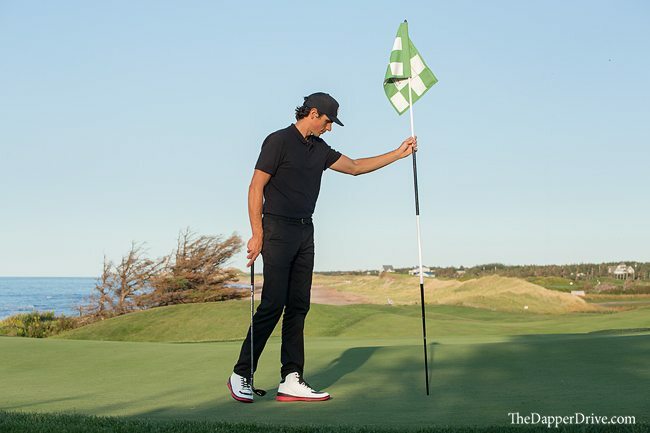 And boy, I’m glad we did. 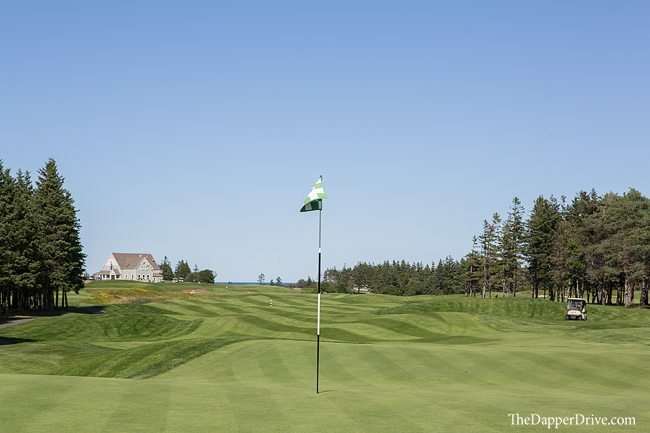 PEI isn’t particularly large (you can drive end-to-end in about 2.5 hours and the width of the island in less than 1 hour), but it packs a punch when it comes to golf courses (over 30 on this small island). 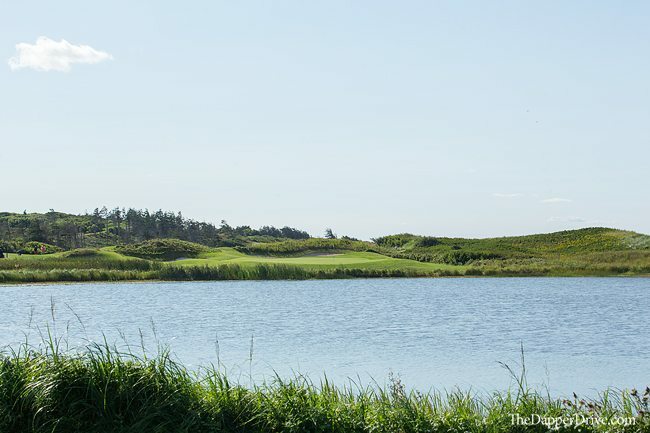 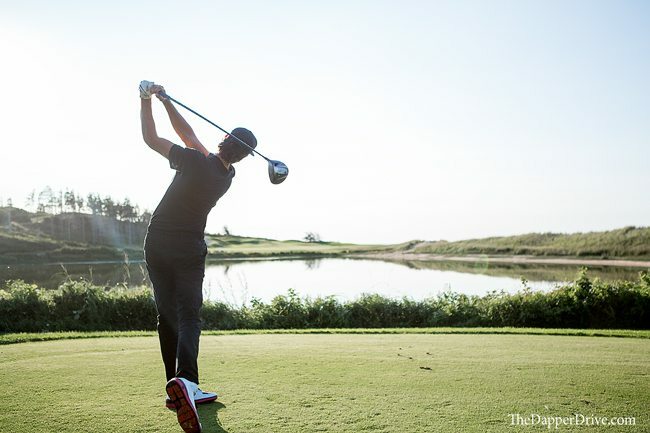 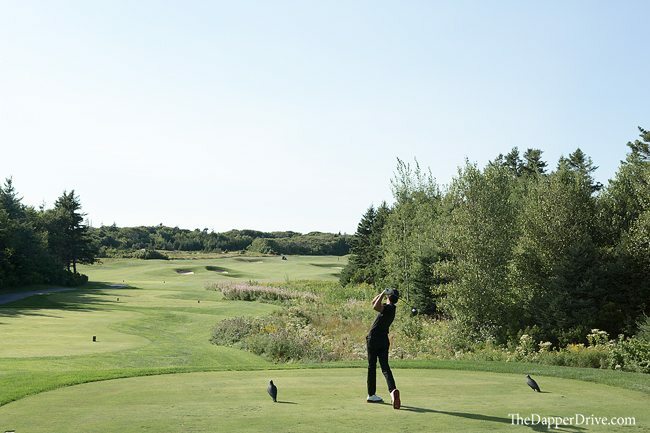 With a plethora of fine choices and as newcomers to this far off land, we narrowed down the list using Golf Digest and Canada’s top golf course rankings, and snagged tee times at two gems: The Links at Crowbush and Dundarave. 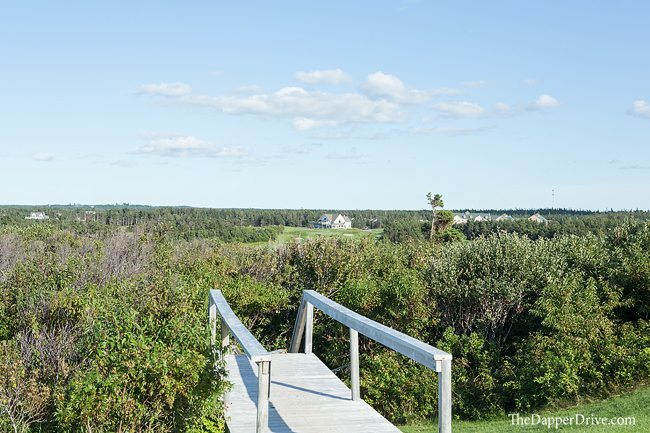 Today, I’ll focus on Crowbush and reserve my thoughts on Dundarave for an upcoming post. 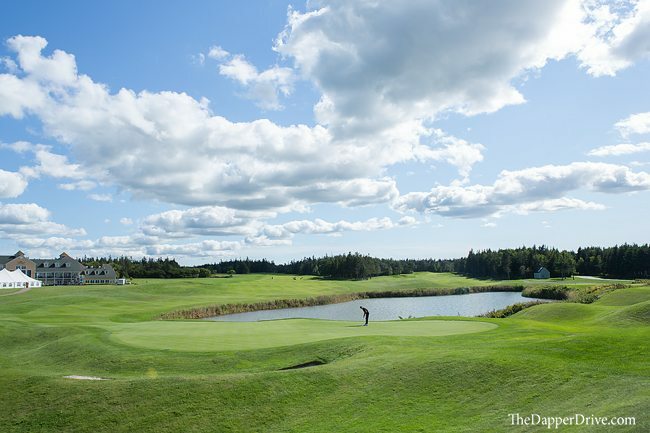 As the name suggests, The Links at Crowbush is situated smack on the north coast of PEI. 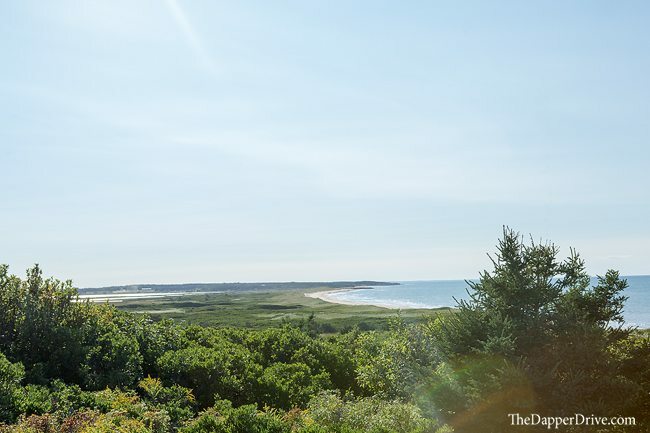 Upon arrival, the sea isn’t in plain view as it’s blocked in the distance by large, sea-grass covered dunes. 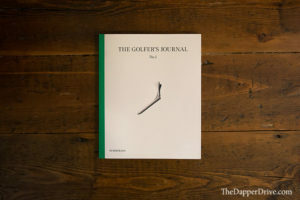 Fear not, as it’s time in the spotlight is soon to come. 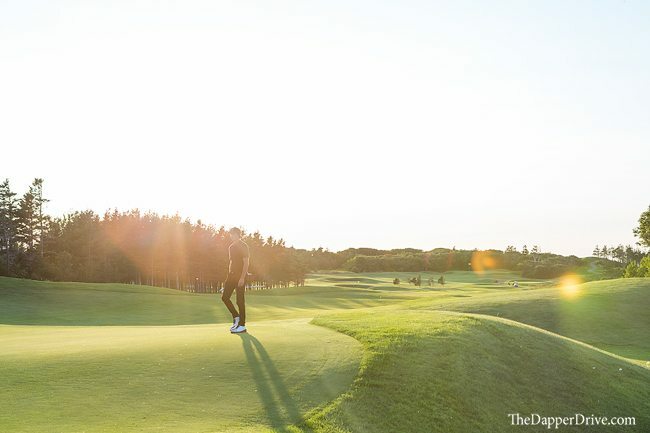 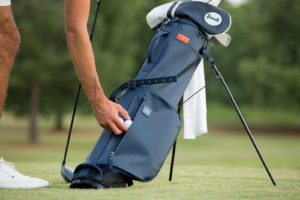 Standing on the opening hole, peering out at the criss-cross patterned fairways framed by lush, deep green rough and dense trees, the pristine condition of the golf course is immediately evident. 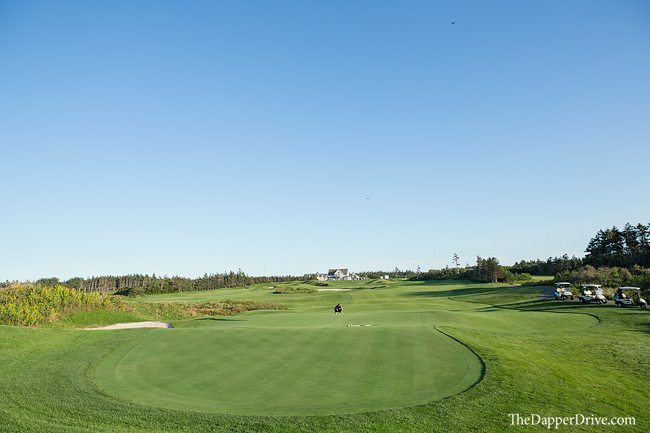 The opening holes wind their way through forests, mimicking more of a parkland course than a links. 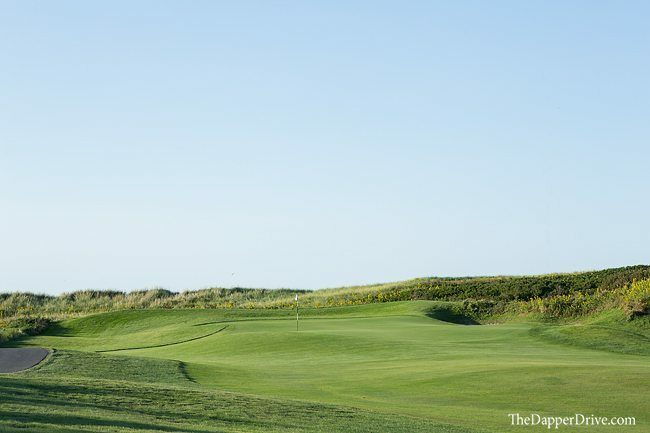 I didn’t mind the differing style holes though as it’s proves to be a nice start with a variety of holes – short and long par 4s, and a reachable par 5 – to ease into the round and build anticipation of the coastline holes to come. 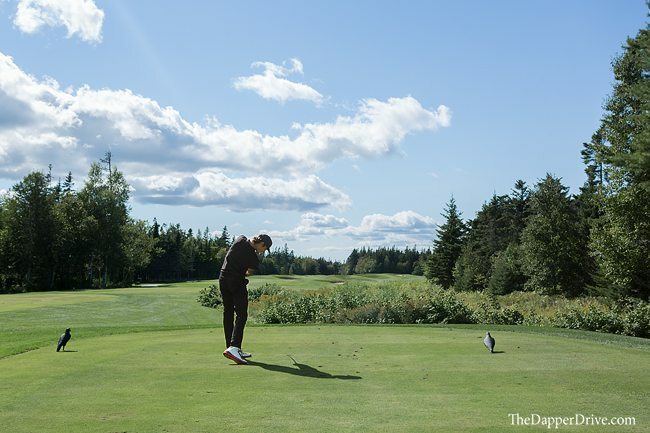 Course architect Thomas McBroom wastes no time showcasing the difficulty of the greens, with multiple levels, large undulation and narrow slivers of elusive green ever present on each hole. 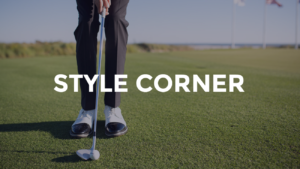 It’s a theme that continues throughout the round, challenging even the best putters’ skills. 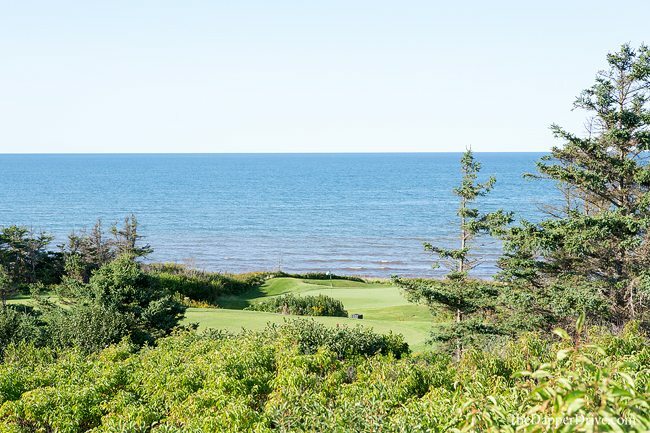 The sea finally shows itself as you approach the par 3 6th green, where you’ll meander along the coastline with a few nice partial views of the water. 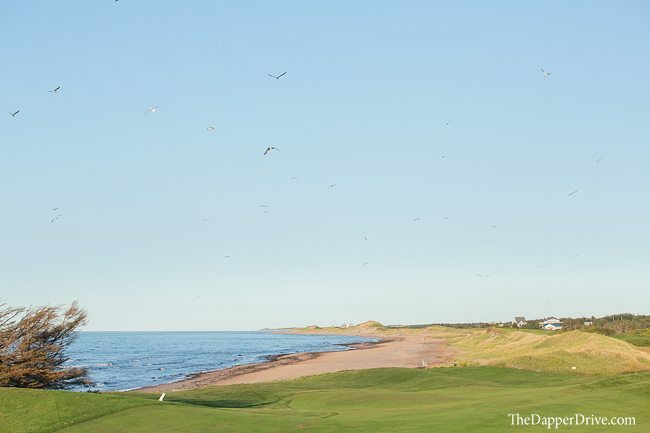 It’s not until the 11th tee box, however, that the coastline really comes to life. 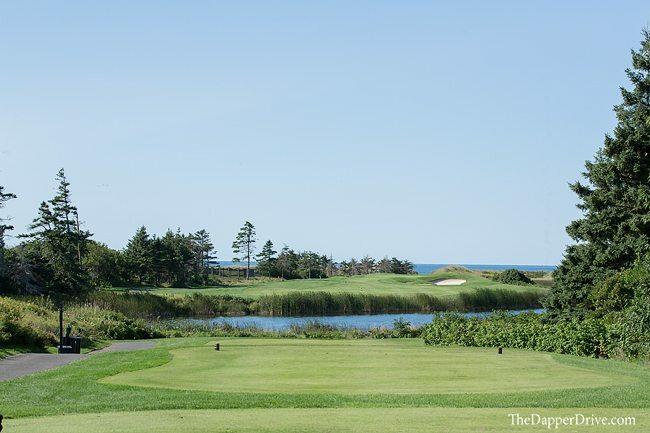 Make the trek up the stairs to the elevated back tee – known as the “Crow’s Nest” – where you’ll discover breathtaking panoramic views of pale blue waves crashing on the beach behind you, the clubhouse perched on a hilltop in the distance, and a myriad of greens in the golf property ahead. 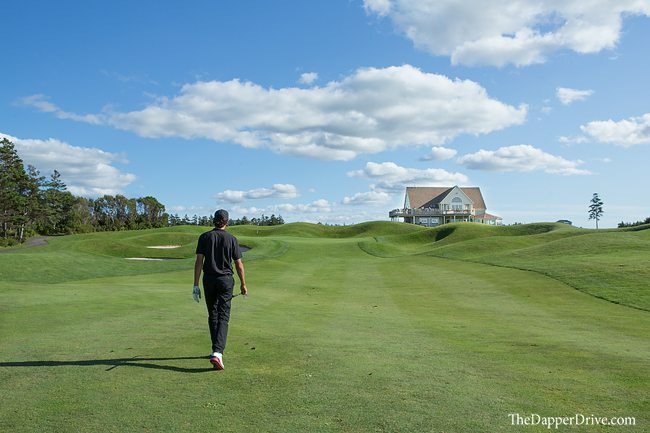 The round turns briefly inland again, before returning to the coast for a lineup of holes that boast more great views. 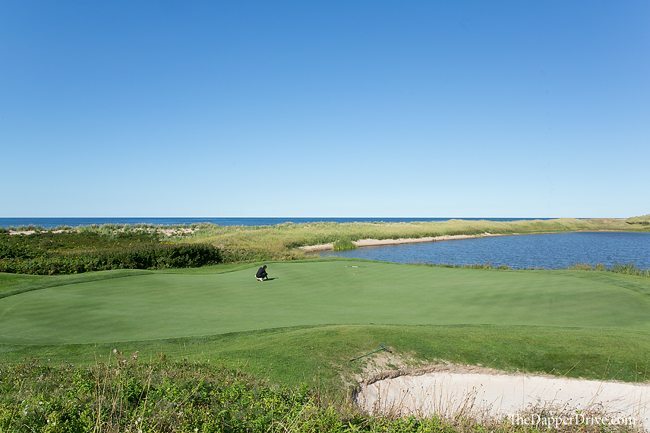 The final stretch are some of my favorite holes, with hole 16 nestled nicely along the beach, hole 17 providing a nice photo opportunity from the elevated green, and the 18th giving you one last challenge as you head toward the clubhouse in the distance. 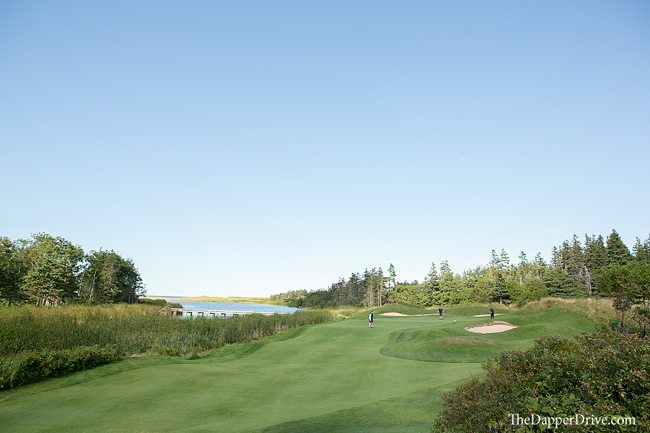 Overall, Crowbush lends itself to a very good golf experience – pristine conditions, great elevated view, solid seaside holes with a mix of challenging and amicable layouts, GPS equipped carts (read faster rounds) and a memorable finish. 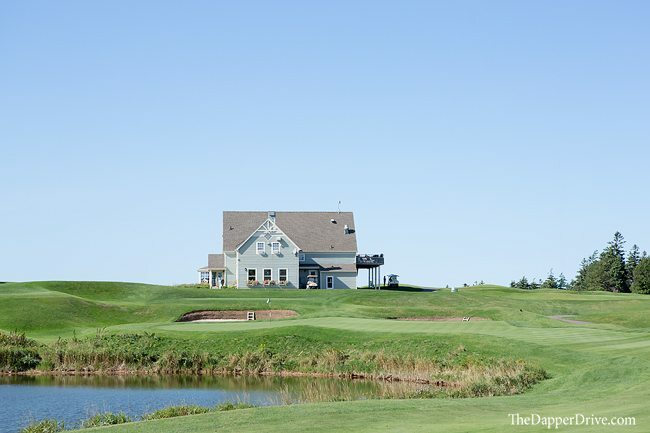 After the round, be sure to grab a brew and enjoy the views from the upstairs clubhouse patio. 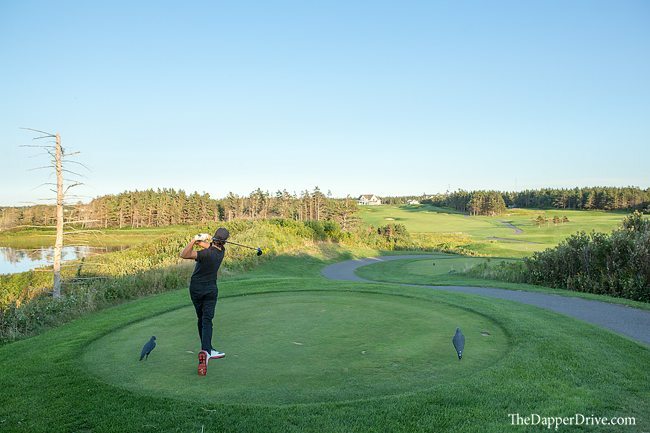 The perfect way to end a great day of golf at The Links at Crowbush.